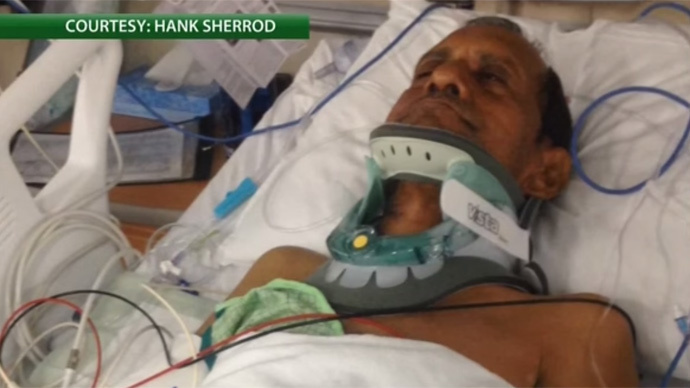 The Indian government has strongly condemned how Alabama police treated one of its citizens visiting the US after he was slammed to the ground, leaving him partially paralyzed. 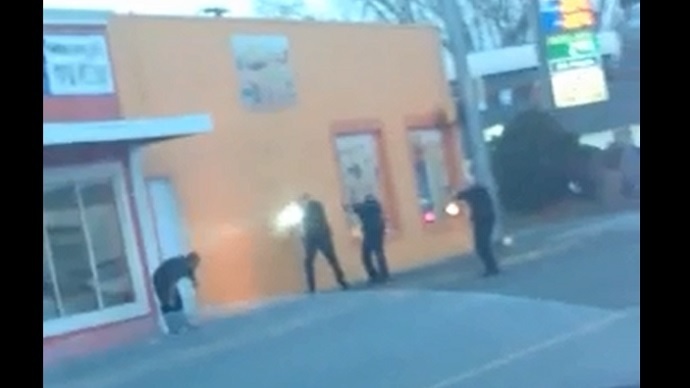 The officer was arrested and may lose his job, while the FBI is investigating. The altercation occurred last Friday when Sureshbhai Patel, a 57-year-old Indian citizen from the small town of Pij, was approached by an officer of the Madison Police Department while outside his own son’s home in an affluent, up-and-coming community in northern Alabama. Police say they were responding to calls concerning a suspicious person in the neighborhood when they confronted Patel and learned he did not speak English. Patel’s son said that his father told the officers, “No English. Indian. 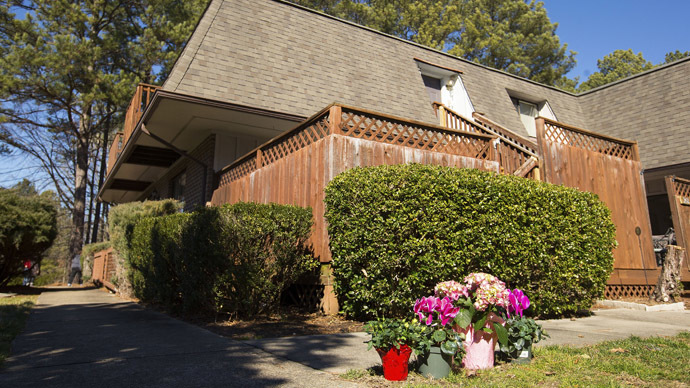 Walking,” then pointed to the family home he had been staying in for less than two weeks. The officers then attempted to search Patel, according to the police. But when the man allegedly put his hands in his pockets and pulled away, one of the cops forced him to the ground, causing him a severe neck injury. Patel was not arrested, but had to be brought to a nearby hospital because he was unable to move his legs and had limited motion in his arms. Doctors were able to restore some mobility after they performed cervical fusion surgery last Saturday. “We take the incident involving an Indian national very seriously. We want to make it abundantly clear that we are extremely worried about what has happened to Mr. Sureshbhai Patel, an Indian national,” India’s external affairs ministry spokesman, Syed Akbaruddin, said during a briefing Thursday. “We are extremely disturbed; this is a matter of concern for us; and India and the US ‒ as open, pluralist societies ‒ need to address these issues and find ways in a mature manner so that these are aberrations, and are not the norm,” he continued. The Indian government has been in contact with the American mission in New Delhi, and plans to speak with US officials in Washington, DC and authorities in Alabama, Akbaruddin said. On Thursday, Madison Police Chief Larry Muncey announced that the offending officer, Eric Parker, has been charged with third-degree assault. Parker turned himself in on the charge, WHNT reported. 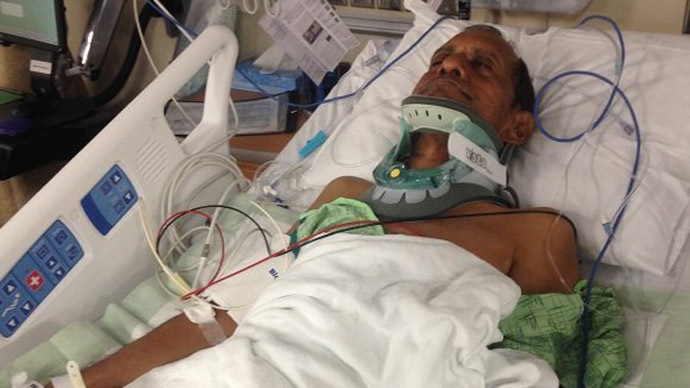 “I sincerely apologize to Mr. Patel, Mr. Patel’s family and our community. We strive to exceed expectations,” Muncey said at a press conference. He also said that he has proposed Officer Parker be terminated. The federal government began an investigation into the incident shortly after it occurred on February 6, an FBI spokesperson said. It is being treated as a civil rights violation, and the findings will be turned over to the Justice Department to review, the Washington Post reported. In the meantime, Patel, who suffered injuries including partial paralysis of his legs, filed a federal lawsuit claiming his civil rights were violated. The lawsuit seeks an unspecified amount of money, the Associated Press reported. "I think skin color made him more likely to be a victim of police power," Hank Sherrod, the family's attorney, said to AP Friday. Parker was previously in the news in August, when he was the victim of an attempted robbery while off duty, according to WHNT. The officer had previously won two meritorious awards for his work in less than two years on the force, the Madison Police Department said. But in this case, Parker’s actions “did not meet the high standards and expectations of the Madison City Police Department," Muncey said. A site established on gofundme.com to help the Patel family cover medical and other expenses generated more than $58,000 in donations in a day by midday Friday. Sherrod said Patel does not have insurance.